VRC is here to serve the needs of you and your pet. We are committed to helping manage your pet’s illness while supporting you through the process. VRC is open 24 hours a day, 365 days a year, for appointments and emergency care. A referral to VRC can be made by your primary veterinarian, but is not required to be seen by our specialists. Prior to your appointment, please ask your primary vet to provide you with copies of any pertinent medical records, medications, lab reports or images, along with the completed referral form (referrals may also be submitted electronically or Faxed to our office). We carefully review your pet’s medical history to make the correct diagnosis and select the most appropriate treatment plan. We will work closely with your veterinarian to ensure seamless care and the highest quality treatment for your pet. As your pet’s owner, you are a vital part of the care team. At your appointment, we will discuss the prognosis, treatment plan and potential complications, as well as answer any questions you may have about costs and payment options. If a procedure is required, our staff will work with you to schedule the procedure. After a procedure, you will receive a phone call giving you an update on your pet. We will provide you with discharge instructions and a report on your pet’s case, and will consult with your primary vet regarding lab results and follow-up care. Since we are open 24/7, there is always a veterinarian or staff member available to answer your questions. To schedule an appointment, call 610-647-2950. Appointments are not required for emergency visits; however an advance phone call, if possible, will let us know to expect your arrival. Prescription refill requests may be made electronically by completing the form on this page. Please note that a veterinarian from our office must have prescribed the original prescription. We will respond to your request within one business day by phone or e-mail to confirm the order and discuss your preferred pick-up location. Refill requests may also be made by calling our office at: 610-647-2950. On behalf of Snoozer and my family we wish to extend to you and your entire staff our sincere thanks and appreciation for the wonderful services your practice always provides to us. We cannot speak highly enough about the quality of your work, and your work ethics. Dr. Franczuszki, in our eyes, is the very best, of the best. He has been taking care of our boy Snoozer for ten years now, and I’m always impressed with your patience, understanding, and ability to almost immediately diagnose a problem very effectively. I'm so grateful for Dr. Perone and the VRC Physical Rehabilitation team. They've given my dog Stan and I a new lease on life. When Stan's mobility issues worsened I thought we were coming to the end of our road together. Then our regular vet mentioned Physical Rehabilitation at VRC and it's been a real game-changer for us. Stan looks forward to his weekly water treadmill therapy and recently had acupuncture too. We can't turn back time, but I'm confident we are helping Stan's senior years be his most enjoyable. Our experience at VRC was over the top wonderful. A huge thank you to Dr. Anastasio, Dr. Ateca and Dr. Miller for their patience with our rascal of a dog Lucy. These doctors and their vet techs saved our dog's life and we are beyond grateful for every last employee, front desk to doctors, who took care of our girl! VRC treated my dog, Sage, for a stroke. Sage's recovery has been almost unbelievable considering the severity of his initial symptoms. He is now standing and walking unassisted (for limited periods). Recently when I left for work, I tucked him in his bed in the living room. However when my pet sitter came to check on him mid morning, she found him sitting by the back door waiting patiently to go outside. He manged to get himself up and out of bed, crawled over the cushions surrounding him, walked across a slippery, tiled floor and found his way to the back door two rooms away. Amazing! My sincere thanks to VRC. Tell us how we are doing and fill out our survey! At VRC, we love hearing from families and getting updates on the pets we have treated. We invite you to read the stories shared by other clients, and we welcome your feedback anytime. Please email us at info@VRCMalvern.com. All reviews and testimonials submitted will be reviewed and can be used on VRC’s website and social media properties. If you do not want your review or testimonial shared, please indicate in your email. We also welcome you to fill out our brief survey by clicking HERE. We are always looking to improve and welcome your feedback. preferred partners to help you with your needs. Day By Day Pet Caregiver Support knows how difficult it can be to care for an ill pet. VRC has partnered with Day By Day Pet Caregiver Support (DBD) to provide compassionate support to caregivers of aging, chronic and terminally ill pets. DBD also specializes in pet loss and bereavement. Identify yourself as a “VRC visitor” and receive a single or double room at $149 per night. There are no pet fees but you must sign a waiver for any damage incurred. CareCredit is a healthcare credit card that allows you to finance and make monthly payments towards your pet’s treatment costs. We know how stressful health issues in your pet can be without considering the cost of care, which is why we accept CareCredit for all services that we offer. For more information, visit www.carecredit.com. Scratchpay offers affordable payment plans for veterinary bills. You can find a payment plan without affecting your credit, and it takes just a couple of minutes. VRC accepts all Scratchpay payment plans. For more information, visit www.scratchpay.com. Cat Angel Network (CAN) is a volunteer rescue organization formed to alleviate suffering of stray cats through rescue, spay/neuter, shelter in a no-kill facility and adoption to approved homes. CAN strives to educate the public on the proper care of cats and the importance of spaying and neutering. Animals in Distress is a non-profit sanctuary for animals that have little or no hope elsewhere. They keep every animal admitted, providing medical care, behavioral rehabilitation, nutritious food, shelter, and most importantly, love, until a suitable new home can be found. No animal is killed because it is unwanted, too old, or injured. PACT (People/Animals = Companion Together) provides long-term foster care for the pets of people in military or medical crises. If you are being deployed or hospitalized and have no safe place for your pet, please call them. Save US Pets Foundation ensures that no pet is denied lifesaving veterinary treatment because of its owner’s inability to pay. Below you’ll find answers to frequently asked questions. Additional FAQ can be found on our Referring Veterinarians page, as well as in the Frequently Asked Questions category on our News and Events page. Q:How can I get a consultation? Patients are seen by appointment by calling 610-647-2950. A referral to VRC can be made by your primary veterinarian, but is not required to be seen by our specialists. We will work closely with your veterinarian to ensure seamless care and the highest quality treatment for your pet. Q:What are your hours of operation? VRC is open 24 hours a day, 365 days a year, including holidays. Whether you come in for a scheduled consultation or emergency care, we are always here. Q:What should I bring to my pet's appointment? Please bring copies of any pertinent medical records, medications, lab reports or images along with the referral form completed by your primary vet (referrals may also be submitted electronically or faxed to our office. Q:Should I feed my pet on the day of the appointment? For initial consultations, it is fine to feed your pet as you normally do on the day of the appointment. Occasionally, for appointments that will require sedation for minor procedures, your veterinarian may ask you to withhold food the morning of the appointment. If in doubt, please call our office at 610-647-2950. Q:What happens after my pet's operation? When your pet has recovered from surgery, we will call you with a report. Once your pet is released, we will provide written discharge instructions and, once available, we will notify you of any lab results and forward them to your primary veterinarian. 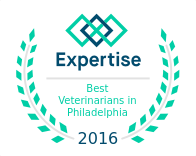 We will also consult with your primary vet regarding your pet’s prognosis and follow-up care. Q:How will I be updated on my pet's status after the procedure? We evaluate our inpatient pets and provide a daily update by phone. Because we are open 24/7, there is always a veterinarian or staff member available to take your call or answer your questions. Please call 610-647-2950 with any concerns. 50% of the estimate for your pet’s procedure is due at the time the estimate is given. Payment in full is required at the time of discharge. We accept the following forms of payment: cash, check, American Express, MasterCard, Visa, Discover and Care Credit. If you have questions about pet insurance, we can assist you in processing your claims. We will further discuss cost estimates and payment options during your pet’s consultation. Q:Where can I pick up my pet's prescriptions? Prescriptions can be picked up at our office, your primary veterinarian’s office or from a third party, such as a local pharmacy. Following submission of an online prescription renewal request, we will contact you within one business day by phone or e-mail. At this time, we can discuss your preferred prescription pick-up location. Q:What is a veterinary specialist? In addition to completing an undergraduate and four-year veterinary school education, as well as a one-year internship, a veterinary specialist must also complete 2–3 years in a specialized residency program to gain in-depth training in a specialized area. Veterinary specialists are also required to publish original research and pass a national exam to become board certified (known as Diplomates). A veterinary specialist offers advanced treatment in his or her area of specialty, while a primary veterinarian is responsible for the pet’s general healthcare. Q:I'm not sure which specialty service I should see. What happens if I make my appointment with the wrong service? Your primary care veterinarian can guide you to the appropriate veterinary specialist. Our appointment desk can also assist you with this decision. At VRC, many different veterinary specialists work together on one campus, offering you convenience and peace of mind. Your pet will receive a timely and accurate diagnosis, ensuring safe and effective care. If you initially make your appointment with one specialist and it is determined that another would be more appropriate, we will coordinate this care for seamless service. Q:What happened to Mid-Atlantic Veterinary Specialists (MAVetS)? Mid-Atlantic Veterinary Specialists is now called VRC and has transitioned into one location at 340 Lancaster Ave. VRC continues to offer patients the highest level of comprehensive care, along with the team of veterinary specialists you have known and counted on for years. Q:What is the Client Registration Form? Once you have called our hospital and made an appointment for your pet, you can fill out the Client Registration Form. This will allow you to register your pet for their appointment ahead of time and may cut back on wait time. You can send us your completed form by faxing it to (610) 296-3835 or by emailing it to info@vrcmalvern.com. Forget to fill out the Client Registration Form? No problem! You can always arrive a few minutes early to your appointment and fill it out then.